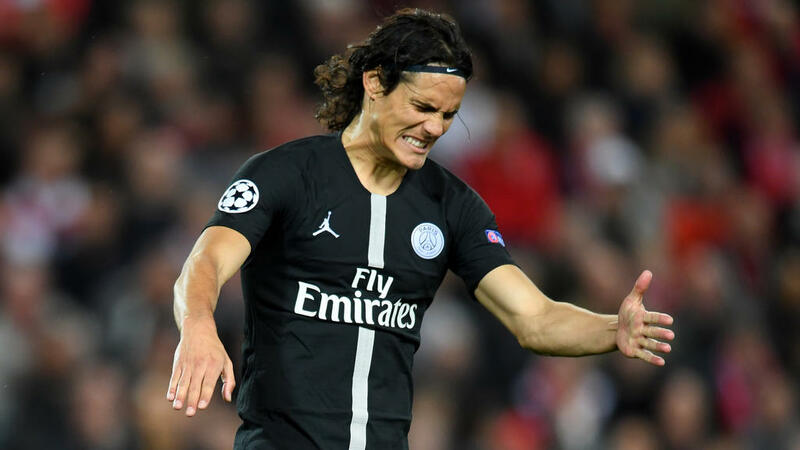 Edinson Cavani will sit out the first leg of Paris Saint-Germain's Champions League encounter with Manchester United, the club confirmed on Sunday saying the striker had sustained damage to a tendon in his hip. PSG will are already be missing superstar striker Neymar, sidelined until at least April with a foot injury, while Manchester United have won ten of their eleven games under new coach Ole Gunnar Solskjaer. "The tests carried out have shown an injury in the right hip. The treatment and the amount of recovery time will depend on how he reacts over the next few days," PSG said on their website. L'Equipe suggested Cavani, known as El Matador for his clinical finishing, would also miss the return leg March 6. Earlier Sunday Tuchel described Cavani's situation, stemming from a fiercely converted penalty on Saturday, as bleak. "There is no good news for Edi this morning," he said. "In my opinion the news is not going to be very good," Tuchel said. "It will be very difficult for him to play," he predicted.